Have a solo show or a small cast play you’ve been trying to take to the next level? June 22- June 29- 2019 7 Nights – – $550/person. Please join us for some great fun and solid work on your play. This playwriting retreat is facilitated by Emma Palzere-Rae, whose specialty is the solo show. Having successfully produced a number of solo shows that have toured all over the country, she will work with you individually to find the gems in your story and polish them up to make them shine. Evenings will show off your work by performing to a small in house audience to receive feedback and audience perspective. Then back to the drawing board to re-work accordingly. 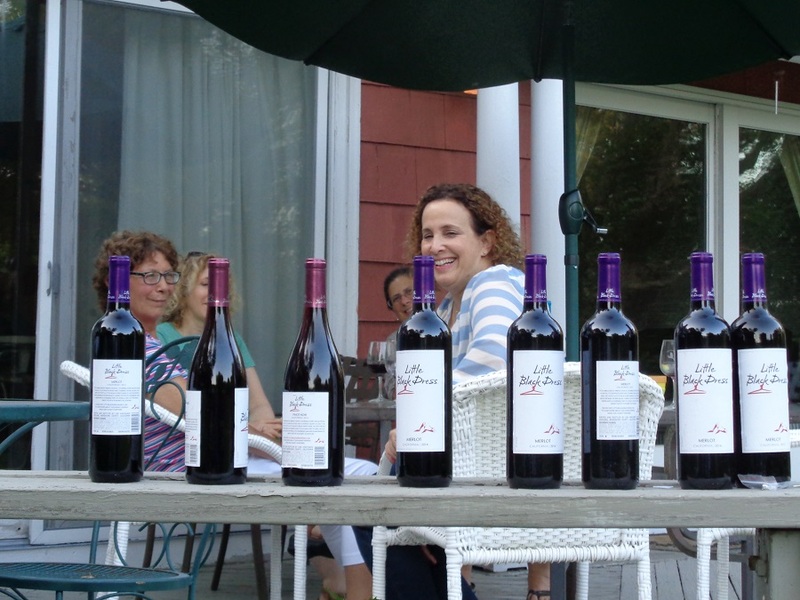 There will also be time for outings to the charming town of Mystic and Stonington, Westerly oceanfront beaches and the O’Neill Playwright’s Conference. Emma Palzere-Rae is also the Western New England Regional Rep for the Dramatists’ Guild. 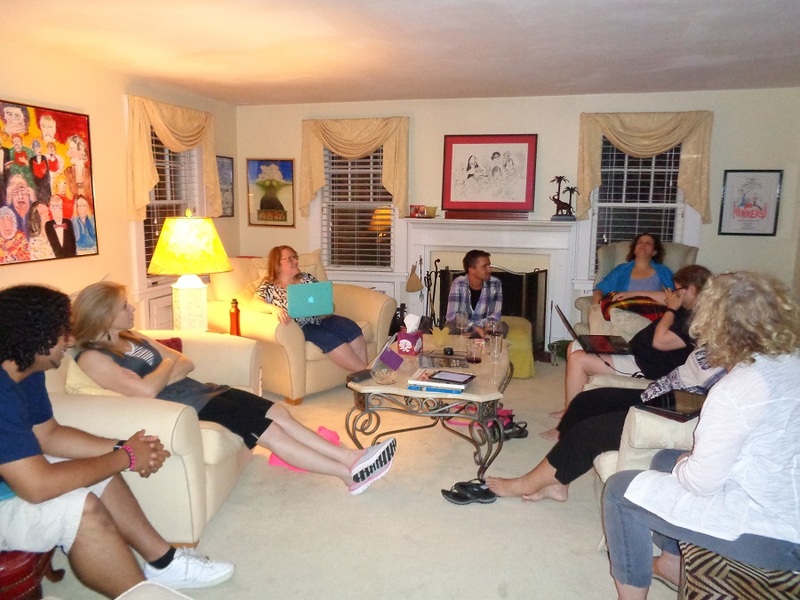 During the retreat we also have the annual summer gathering of playwrights for the DG. An opportunity to meet fellow Dramatist Guild members. The nature of this retreat is to foster collaboration, encourage an ensemble spirit with a shared sense of community; to converse and exchange ideas in an environment of invention and innovation. Everyone works together to prepare dinner, served family style while continuing to promote collaborative thinking and the generation of creative energy. In a series of lectures, conversations, and improvisational style workshops, theatre artists will work together to create new work, develop ideas and network with fellow artists with an eye toward increasing one’s knowledge of people, places and ideas in today’s professional theatre. In a truly interactive, face to face learning adventure, each participant will have he opportunity to have their work assessed by peers working together to increase their depth of knowledge in the world of theatre arts. The November 8-11- Creativity Workshop and Writer’s Retreat was a wonderful time for all. Time to write, time to talk, time to walk the labyrinth, time to be introduced to Expressive and Creative Arts, time to share delicious meals together with a group of truly creative, intelligent women artists and educators. A great deal of time was spent learning, exchanging ideas, information, and leads, developing ideas that are just dying to be developed, and creating a very special energy that inspired and motivated all the participants. Each participant brought a special talent, skill and ability to the Workshop/Retreat. The weather was perfect for walking the labyrinth and a very, very good time was had by all. Visit us again to learn when the next Workshop/Retreat will be held at The Way of the Labyrinth or get on our email list for email notification – send request to jclinton14@msn.com. What a wonderful, creative, uplifting experience! Thank you for welcoming me into your home. 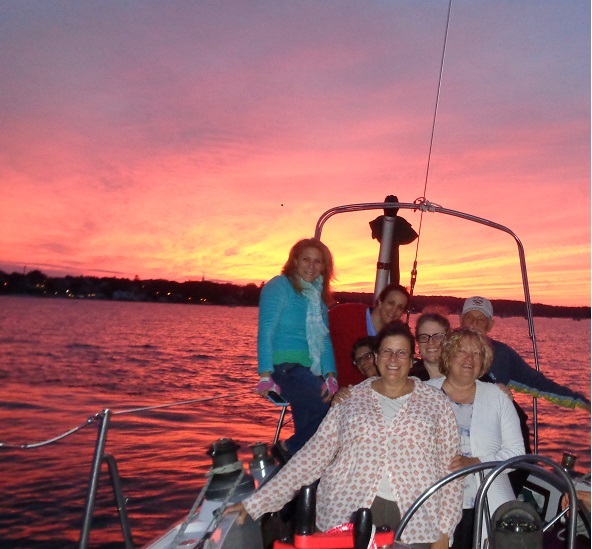 Located on the beautiful Connecticut shoreline, Stonington and Mystic are great destinations full of spectacular views and places to visit - In addition, we are just 15 minutes from the Rhode Island border where there are miles of white sandy beaches in Misquamicut and Watch Hill Rhode Island. All this is a setting to ignite and inspire the creative juices and start your discovery process. The Labyrinth is an ancient symbol used as a spiritual tool for prayer and meditation, healing, and transformation. Labyrinths can be found all over the globe. Various traditions both ancient and contemporary have used them as tools for introspection, clarity and peace. Labyrinths are often confused with mazes but are actually very different. A labyrinth has just one path to the center with no decisions to make to reach the goal. Your walk simply requires you to focus on the path in front of you, letting the labyrinth guide you along the pathway eventually taking you to the center.